A splash of color in a concrete jungle. A distraction from the boredom of a utilitarian cityscape. 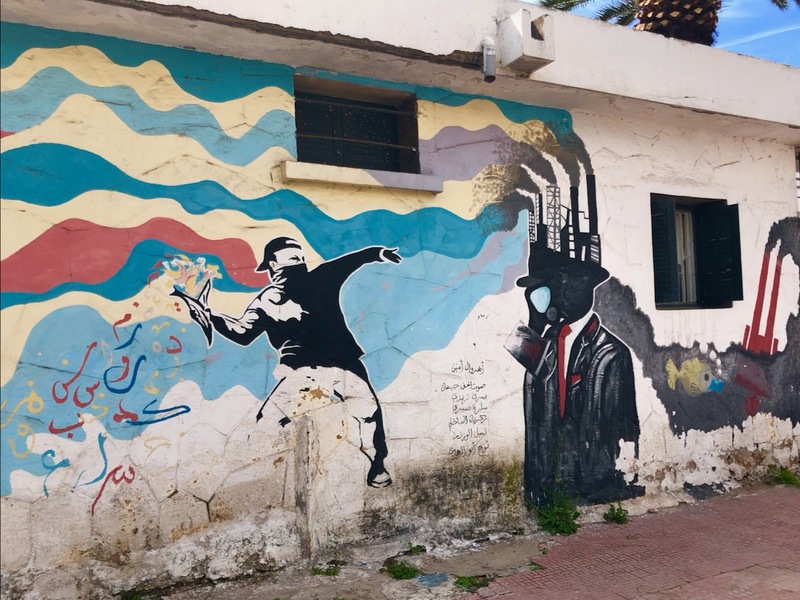 Perhaps, that’s what street art would aim for in the largest city of Morocco. After all, Casablanca is the business and financial hub and the port. It is also the least flamboyant of major cities in the country known for vivid colors and powerful imagery. I had no idea what to expect from Casablanca. 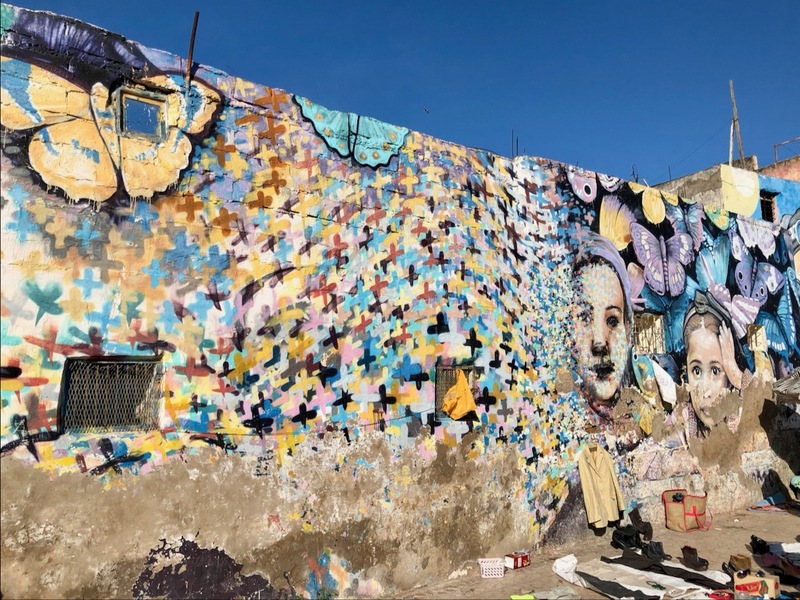 Street art proliferation around the world is happening so rapidly that by now even tiniest or most remote settlements on Earth might display a mural or two. 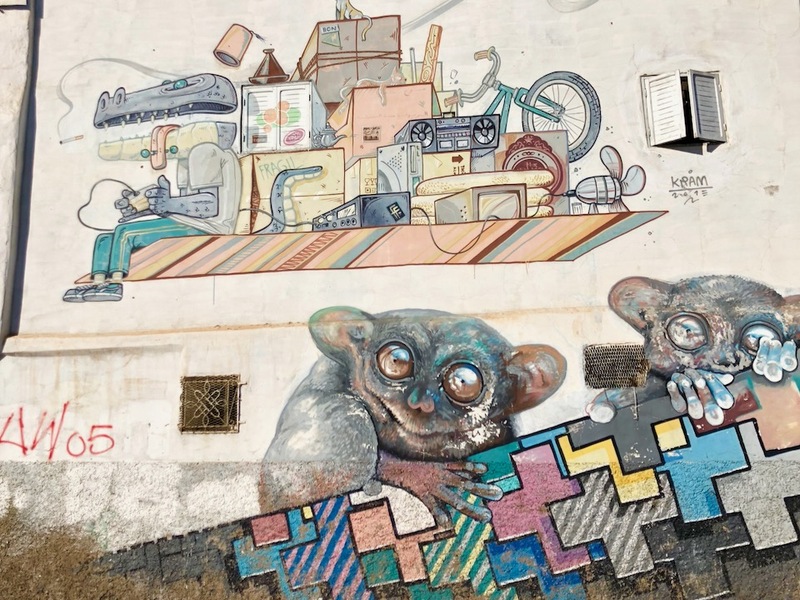 Artists are quick on their feet and do not hesitate to travel to some exotic or unexpected destinations and leave their distinct imprint there. Interestingly, better known or larger places more likely to have some sort of rules and regulations or be more eager to enforce some restrictions. 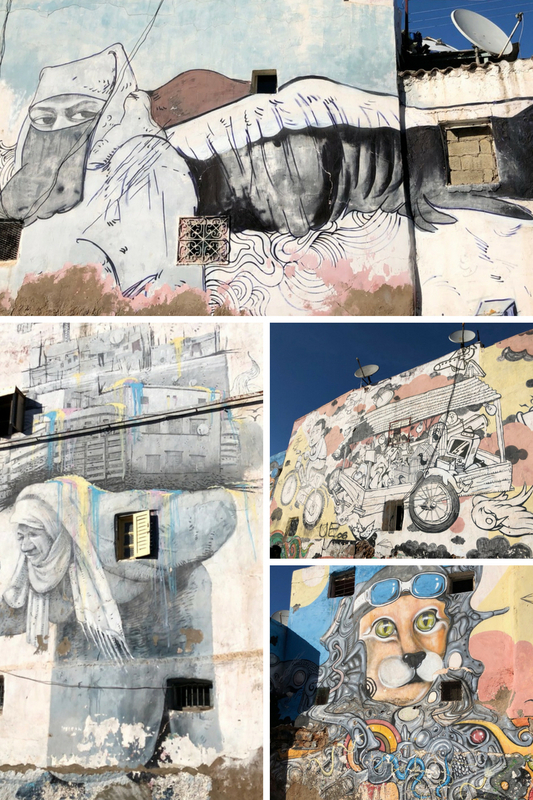 Thus, I was genuinely curious about how Casablanca deals with the rapidly growing popularity of street art. In a way, it didn’t disappoint. 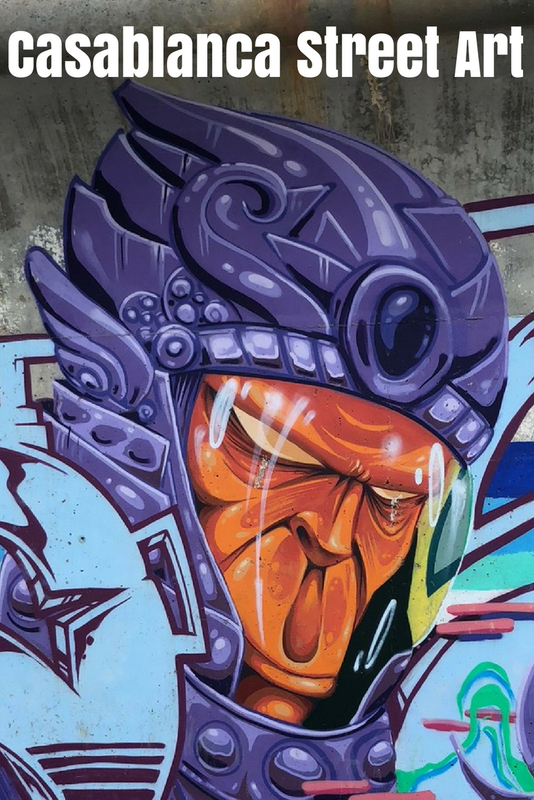 I found some powerful pieces throughout the city without even trying. As usual, my findings were results of completely random walks. I am aware that I missed a lot. “Sleeping quarters” of the city or industrial zones that tend to have those vast walls begging to be painted mostly were left unexplored. I see it as an excuse and a reason to come over again to do more research walking around. Meanwhile, what I found was quite impressive. Regardless of whether you are going to retrace my steps or go on your own hunting expedition, I included locations of all artworks I mentioned here. Check those quickly and expand your search even further. It is always so exciting to find extraordinary local talent. Meet Morran Ben Lahcen, a self-taught Moroccan artist born in 1982 and lately best known for his cross-shaped sculptures. 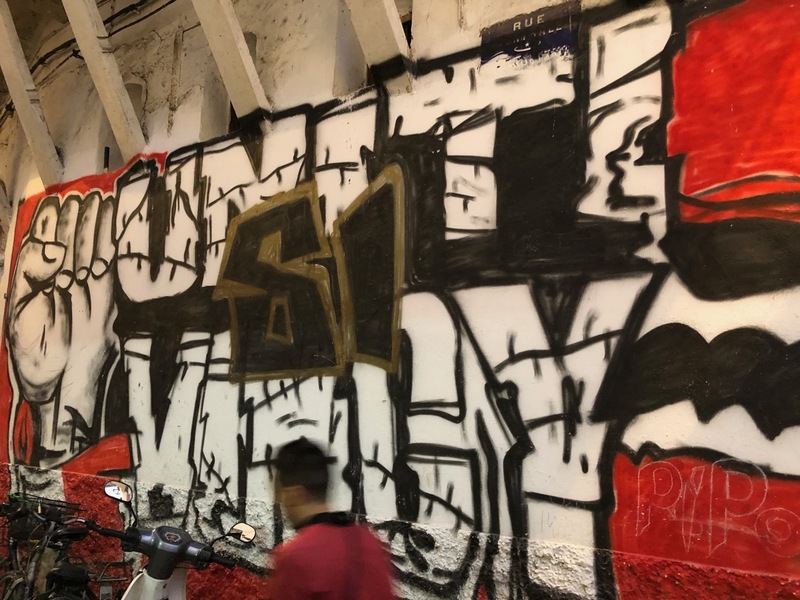 He started as a graffiti artist in the 90s. I stumbled upon a couple of his murals. The second one is truly stunning. Just look how, at first sight, all you see is a myriad of crosses, but upon closer look, they transform into a human face. 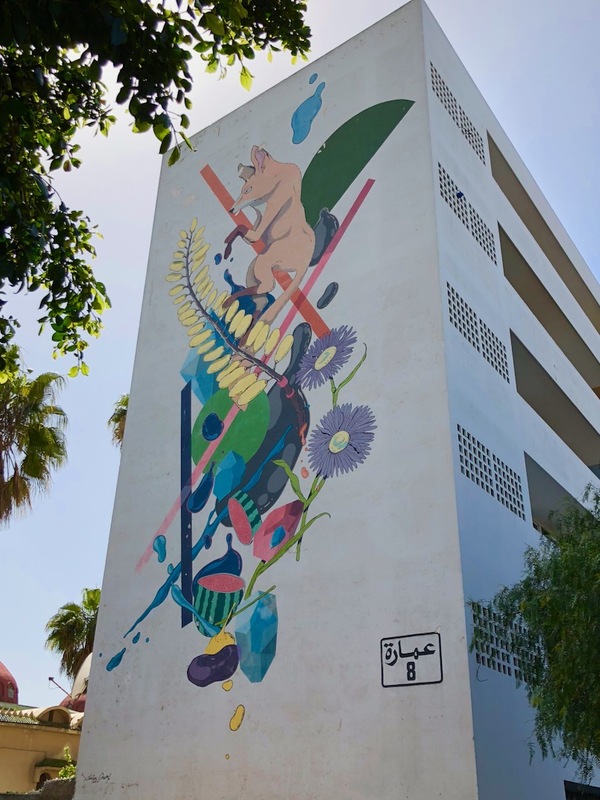 In the same neighborhood, near the old medina, there are more murals that were painted during 2013 Sbagha Bagha Casablanca Street Art Festival by various artists. 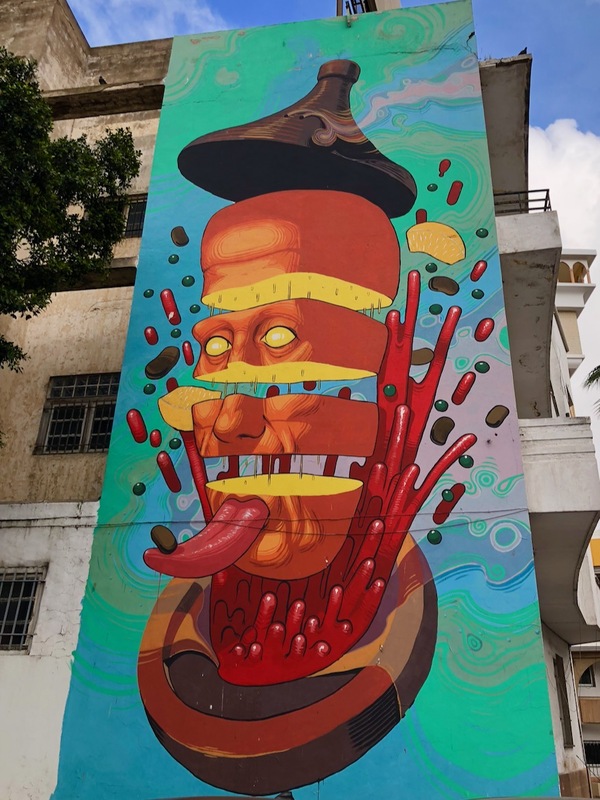 I was happy to see a piece created by Kram, a Spanish artist from Barcelona. Sadly, time took tall, and all these works look like they’d seen better days. 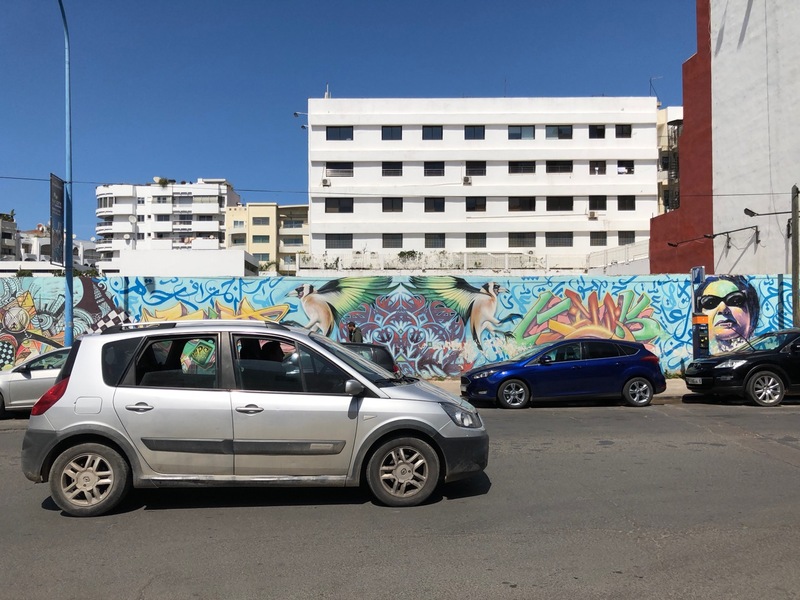 The narrow stretch of land between the port and the Hassan II Mosque has an unexpected surprise. 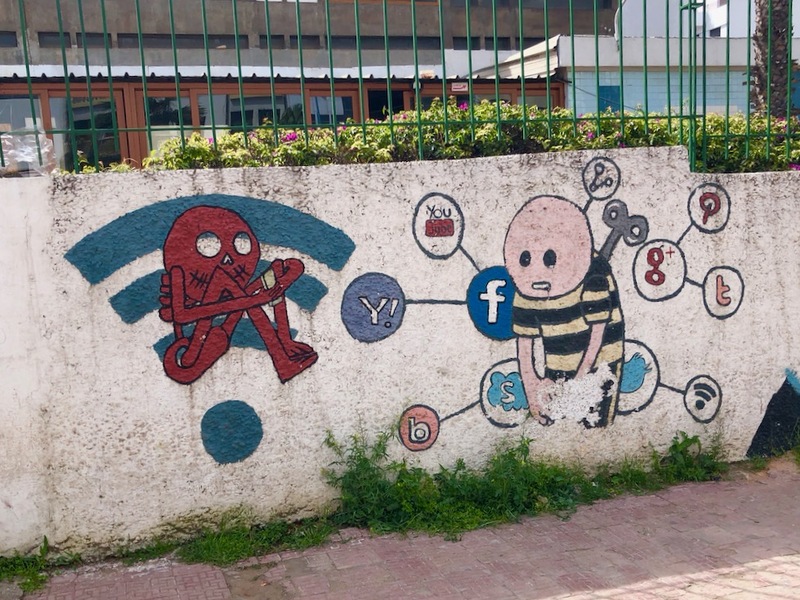 It was surely worth walking down there and check the newer street art contributions. Two names, Majic and Roksy, were among prominently displayed there. The wall follows the terrain, so it is long but not much in height. In turn, murals are extremely elongated and not easy to capture. I did my best and try this and that. Ultimately, I decided to publish carefully selected bits and pieces instead of the whole picture. 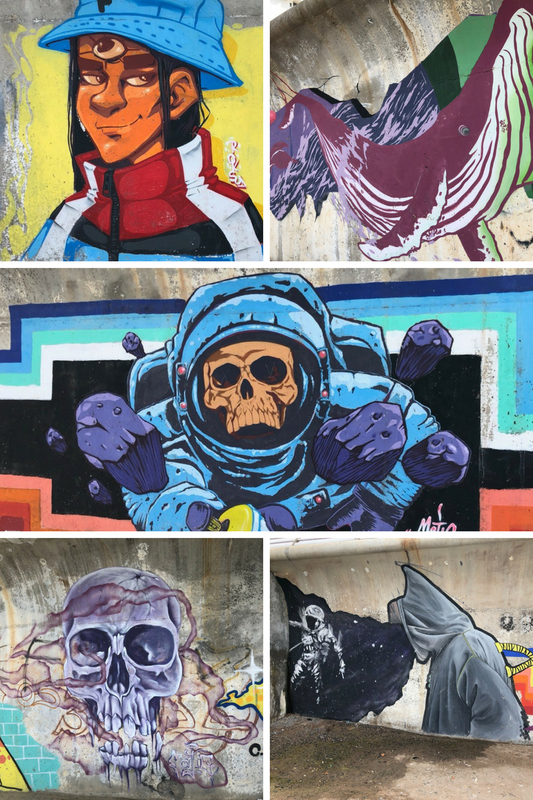 Finally, there are a couple more street art pieces that worth mentioning. Wonderful pictures. Fascinating topic. Thank you! 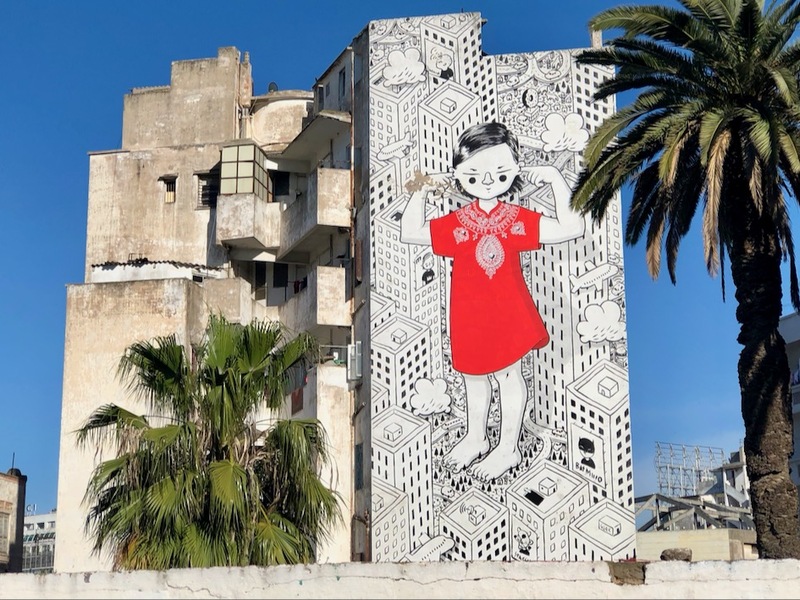 The scale of the street art stuns me Elena. I get art on a smaller scale. Like, an easel, or whatever. 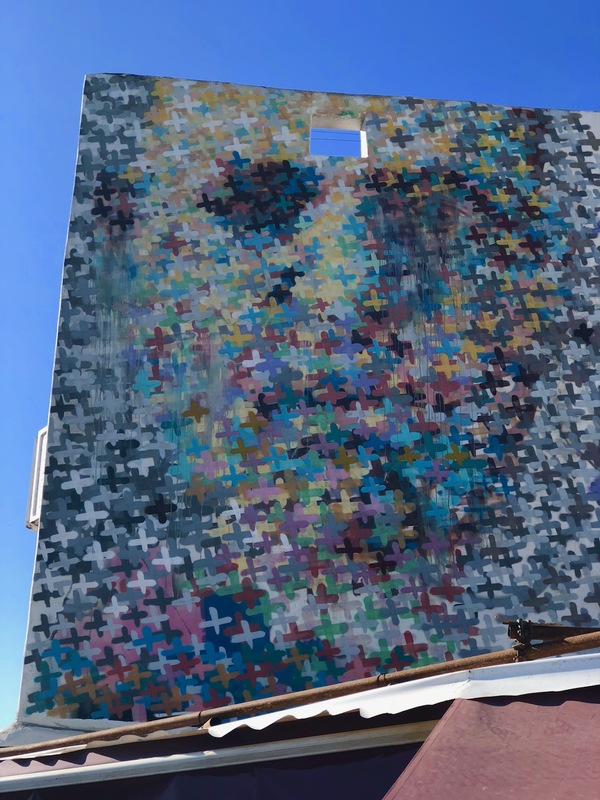 I appreciate it but when the palette becomes 50 by 80 feet I realize the size of the piece requires tremendous effort, time, patience, and attention to detail. Floors me. Every time.